For our last installment of character introductions we’ll be letting a very special individual take the stage. The most prolific master of Tokyo Babel, the serpent of death Samael! Beneath her charming exterior lies a cruel soul, ready to lash out at a moment’s notice. It is a well-known fact that Samael is the prime suspect of the Divine Calamity. There is no one foolish enough to question the verity of that tale, for they would have to wrench the truth from her cold and lifeless body. A task that is easier said than done. She is the last impediment for anyone worthy enough plow through the numerous strata on their way to the Gates of Heaven. And she will oblige without question, fighting countless battles to maintain some semblance of sanity. For if she was to stop and question her motives her mind would crumble down, like a feeble house of cards. Easily able to go toe-to-toe with even a seraph class angel Samael’s prowess is nothing to be laughed at. When provoked by Setsuna she retaliates with unmatched ferocity, desperate to prove that she is at the top of the food chain. Her body is nimble and powerful, and yet there is something amiss. Samael is broken. Her mind prone to lapse into confusion it soon becomes clear that her mind has been tampered with. Suffice it to say, all is not as it seems. Could it be that the ferocity of the battles Samael has been in has damaged her in more ways that she’s aware of? Or is there something more behind the fallen angel’s withering mental faculties? Samael comes to understand that living as someone’s pawn comes at a terrible price: the destruction of the self and the possibility of living according to one’s will. 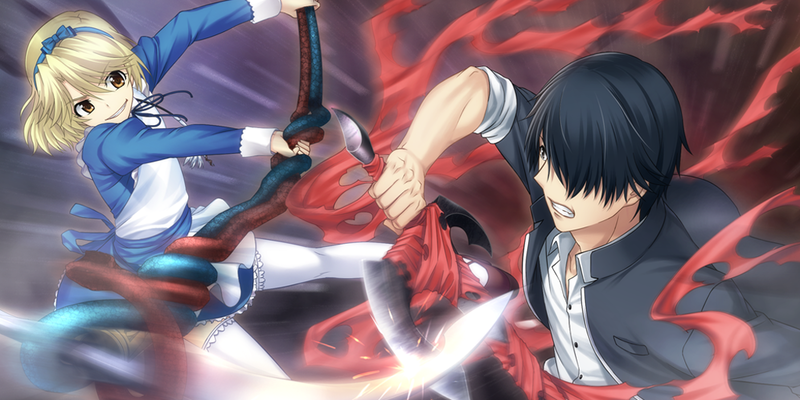 During a particularly harrowing fight with Setsuna Samael is provoked enough that she finally declares that doing battle is her only reason for living. This momentary slip of the mask is a turning point for Samael. She cannot stand seeing Setsuna make sense of the enigma she can’t wrap her mind around. It is an unforgivable sin, punishable by death. Samael’s past deeds are a clear testament to her vile nature. Despite her despicable deeds, though, she still wishes to stand on equal footing with Setsuna. If someone like him can attain a raison d’être then why can’t she live according to her own free will? What separates a unique individual from a killing machine like herself? Join Samael as she attempts to separate herself from the cannon fodder in order to forge a future reflecting her own raison d’être. The answer to these questions can be yours if you are willing to take the plunge into Tokyo Babel. Samael is voiced by Kitamura Eri, who you may be familiar with from her anime roles such as Rimi from Chaos;Head, Cure Berry from Fresh Pretty Cure!, Yui from Angel Beats, Karen from the Monogatari series, Salia from Cross Ange and many others! Pick up Tokyo Babel today on MangaGamer.com or Steam for 15% off! « Queen of MangaGamer 2016!